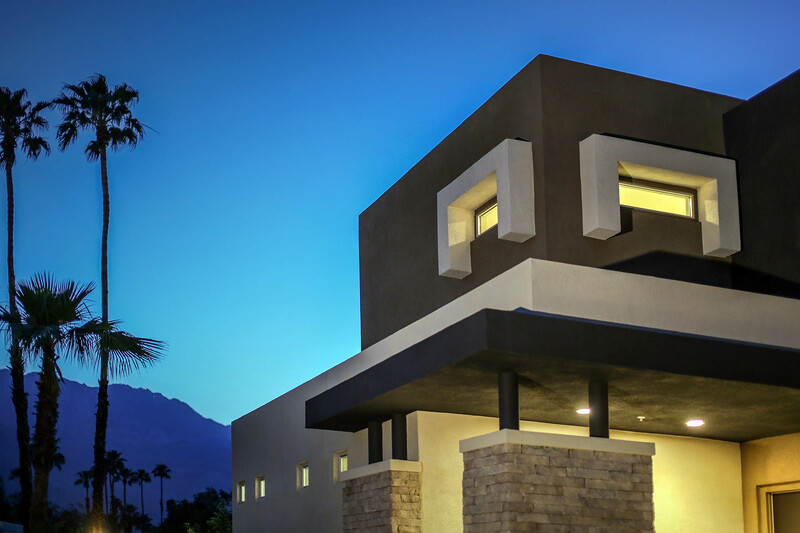 When GHA Companies and Danielian Associated teamed up to create a dynamic new home community that would appeal to buyers looking for the “Palm Springs lifestyle” they knew that the architectural design would hold the key to its success. Inspired by the adjacent Palm Springs’ iconic mid-century modern design and named for its location at the edge of Palm Springs and Cathedral City, The District at the Edge stands out for its desert modern design, bold color scheme, and scenic mountain views. The Tribeca plan features a spacious open floor plan with great room and a kitchen that opens out to a large covered patio. By bringing the outside in within this small footprint, the home lives larger and make the interior spaces feel extra special. “We are thrilled that the vision for this project was achieved and has been met with such a resounding success,” said Tom Wong, Associate and Senior Designer at Danielian Associates. “We have designed many great contemporary projects in our office, but The District is truly special.” Combining a unique contemporary architectural design and open floor plans along with ample outdoor living and spectacular community’s amenities, The District at the Edge hit a home run with home buyers and has sold out every phase released to date. The SoCal Awards program honors the best in architectural design, professional achievement, sales and marketing throughout Southern California. This year’s awards were presented on September 30, 2017 at the Grand Californian Hotel in Anaheim, California.